96 Bright. 10 packages/ctn. 4.0 mil. 8-1/2" x 11". 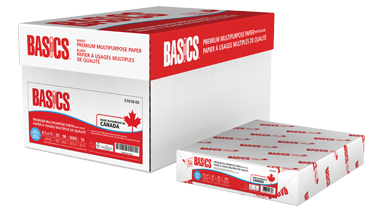 500 sheets per package. 20 lb. White. FSC® Certified. 88% opaque. Smoothness: 160.